The 29th edition of the Biennial ISMA conference on Noise and Vibration Engineering. ISMA2020 will be organised on September 7-9, 2020 in Leuven (Belgium), in conjunction with USD2020. The 8th edition of the International Conference on Uncertainty in Structural Dynamics. 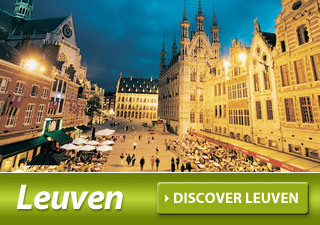 USD2020 will be organised on September 7-9, 2020 in Leuven (Belgium), in conjunction with ISMA2020. The annual ISMA course: "Modal Analysis, Theory and Practice". ISMA44 will be organised on September 19-20, 2019 in Leuven (Belgium). The annual ISAAC course: "Advanced Techniques in Applied and Numerical Acoustics". ISAAC30 will be organised on September 19-20, 2019 in Leuven (Belgium).